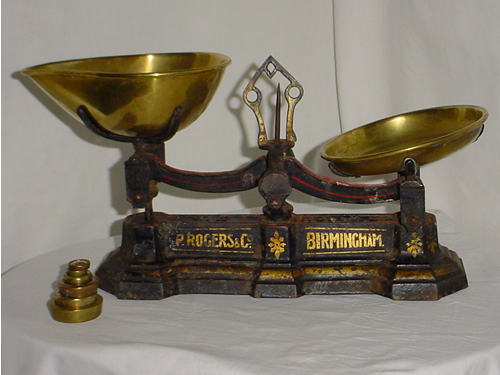 Lawyers often use the “scales of justice” example. If you have a scale in perfect balance, and you place all of the victim’s evidence on the left, and all of the defendant’s evidence on the right, a victim wins if her side is ever so slightly heavier than the other side. 50.0000001% is a plaintiff victory. In a criminal case, the prosecution’s evidence must be much “heavier”–basically, they have to be pushing it down to the ground. That’s all very abstract. Let’s use a common scenario. Say you provide evidence at trial (say, your own testimony and testimony of an independent witness) that you are stopped at a red light for 30 seconds. You also provide evidence that the defendant crashed into the back of your car. Unless the defendant can provide some evidence that, for example, you backed into him, he will lose because your evidence indicates that it is more likely that he crashed into you. This is one reason why most rear-end collisions result in a plaintiff’s verdict. A second scenario helps to illustrate the point: two cars are driving on a two lane road, one in the left land and one immediately to the right. There is a collision. The plaintiff claims that the defendant merged into her lane; the defendant claims that the plaintiff merged into his lane. There are no useful road markings, and there are no witnesses. This is the classic “he said, she said” case. Probably 90% of the time, the judge or jury will find for the defendant, not because they believe the defendant’s version of events, but because they don’t know what to believe. The scales are still balanced, even after all of the evidence is added. 50% to each side is a defense verdict. Now, the other 10% of the time, the judge or jury will find for the plaintiff because, for whatever reason, the plaintiff seems more credible, more believable, than the defendant. This can be really hard, if not impossible, to predict. It helps if the defendant has something going against him–some sort of admissible criminal history involving lies, like forgery. But, oftentimes, there is no such evidence, no reason (that I can see) to believe one side more than the other side. But it’s not a factual analysis. It is a feeling by the judge or jury. The take-home message is that sometimes you can win a he said, she said case. It’s a longshot, and it takes a little bit of luck, but it can happen. Tagged: "burden of proof", "he said she said" and "more likely than not"